Are you a breakfast person, or no? I’ve noticed that most people are either a ‘must have breakfast, I love it’ type, or a ‘nah, I’ll pass’ type. I’m the former…I’ve GOTTA have breakfast, and I love yummy foods in the morning! My whole family is that way, but it gets hard with little time to spare before the daily stuff. 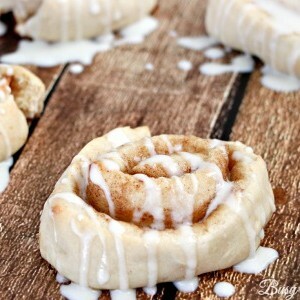 Luckily, we’ve found some great, delish recipes we can whip up, like The Easiest Cinnamon Rolls Ever! Our schools start really early, with Cat Woman (our exchange student) having to catch the bus at 7:10am and Wonder Woman walking at about 7:20am. 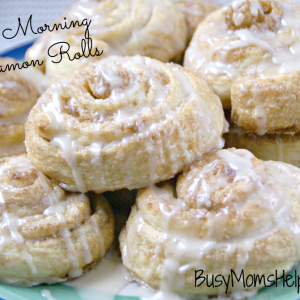 Since we don’t like waking up any earlier than we have to, fast breakfast recipes are a MUST! 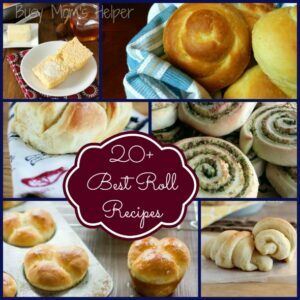 I also love that you can make these rolls the night before, then just pop them in the oven. They rise a bit more, but larger rolls are great! 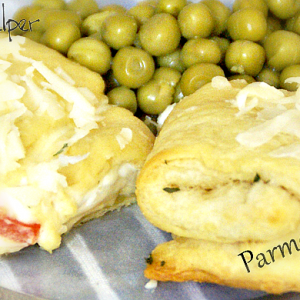 Preheat oven to 400 Degrees F. Spray or line some baking sheets, set aside. In a large mixer, mix the water, yeast, sugar, salt, butter and vanilla. Slowly add in the flour until it’s a nice, elasticy texture. Place on a floured surface and roll out in a long oval, about 1/4 – 1/2 inch thick. Spread the 1/2 stick buttter over the dough, then sprinkle brown sugar and cinnamon as you desire (if you like more, go for it. Want less, that’s good, too). 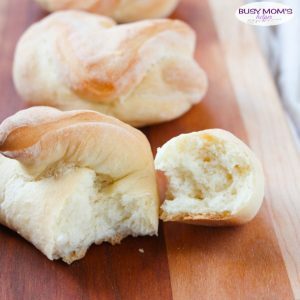 Tightly roll up the dough the skinny way, then slice off 1″ cuts for your rolls. Place on your prepared pans, then set on the oven while it finishes preheating (the warmth helps them rise a bit). When preheated, cook for about 13-16 minutes, or until the dough is slightly starting to brown. 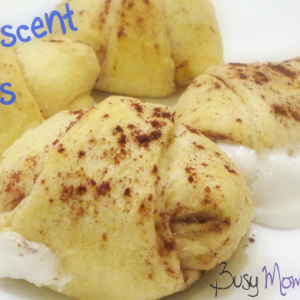 If you like frosting (who doesn’t?) then mix some powdered sugar, vanilla extract and heavy cream together to your desired taste and consistency. Spread/pour over the rolls and enjoy!